The Maple City Cattle Battle, formerly called the Jackpot Show, hosted 56 heifers on Saturday and 79 steers and 11 market heifers on Sunday at the Somerset County Fairgrounds in Meyersdale. Both Knotts and Durst are board members of the Somerset County Beef Producers, the organization that holds the event annually along with many sponsors. Knotts has been helping with this event for decades. In the steer show on Sunday, Jakob Koleca of Frederick, Maryland, won Grand Champion Overall Steer and Market Animal. Reserve Champion went to Karli Burkheimer of Dillsburg, while Lily Berghorn of Akron, New York, came in third; Mariah Jewell of Bedford in fourth; and Chet Boden of Clearbrook, Virginia, in fifth. In the market animal part of the steer show, Burkheimer won reserve, while Emily Faulkoner of Culpepper came in third; Lily Berghorn in fourth; and Mariah Jewell in fifth. For Somerset County exhibitors, Renee Svonavec, 18, of Rockwood won Champion County Exhibitor Overall Steer, while Braden Durst, 10, of Berlin won reserve. Svonavec is the daughter of Vince and Donna Svonavec. Durst is the son of Mike and Greta Durst of Berlin. Jeb Friedline of Somerset came in third, followed by Allison Schmuck of Rockwood in fourth and Riley Hay of Berlin in fifth. For the Somerset County Club Calf sale buyers, Lucas Hayman of Berlin came in first, followed by Renee Murray of Meyersdale, second; Megan Garrison of Ohio, third; Derick Garrison of Ohio, fourth; and Macy Walason of Bedford County in fifth. Show judge for the day was Taylor Langford of Blacksburg, Virginia. He is a graduate student at Virginia Tech currently working on his doctorate in beef cattle nutrition and management. Langford also obtained an associate degree from Northeastern Oklahoma A&M, where he served as a livestock judge and was named to an All-American Judging Team. He received a bachelor’s and master’s degree at Oklahoma State University, where he was a member of the judging team there as well. Langford said during the show that the quality of animals was very high and the exhibitors handled their animals well in the show ring. In the heifer show on Saturday, Karli Burkheimer of Dillsburg in York County won Grand Champion Heifer, while Jakob Koleca of Frederick, Maryland, won reserve. Katelynn Bennett of Slippery Rock came in third and fourth, followed by Benjamin Archer of West Finley in fifth. For Champion County Exhibitor in the heifer show, Beth Miller of Meyersdale came in first, followed by Allison Schmuck of Rockwood in second and Hartley VanGilder of Berlin in third and fourth. Beth Miller also won champion for the Club Calf Sale exhibitors. While the heifer show was on Saturday, market heifers showed on Sunday during the steer show. 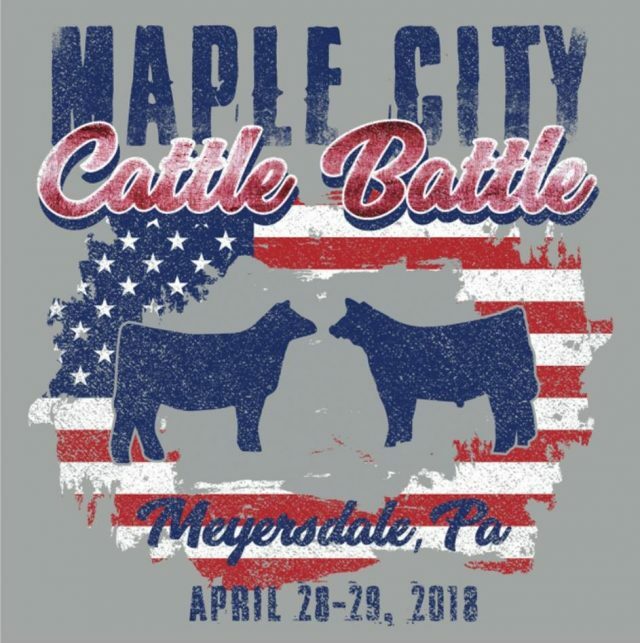 Market heifer winners are: Emily Faulkoner of Culpepper, first; Dylan Giebner of Canton, second; Riley Hay, Berlin, third; Molly Zona of Clarksburg, fourth; and Charlotte Gribble, fifth. Showmanship, held on Saturday, overall award winners are Jakob Koleca, first; Katelynn Bennett, second; Karli Burkheimer, third; Kierston Baker, fourth; and Heidi Harnish, fifth. Senior — Lily Berghorn, first; Brittany Truax, second; Molly Zona, third; Renee Svonavec, fourth; Ryan Weishaar, fifth; and Alicia Lane, sixth. Intermediate — Katelynn Bennett, first; Kierston Baker, second; Heidi Harnish, third; Benjamin Archer, fourth; and Jessica Harrison, fifth. Junior — Jakob Koleca, first; Karli Burkheimer, second; Braden Durst, third; Emilyn Shearer, fourth; Dylan Geibner, fifth. Peewee — Carter Durst, first; and Carmen Knotts, second.